Timberwolves Eoin Mitchell, Camayo Ochola, and Dylan Ball made bow and arrows at a campout last spring. KENNETT SQUARE, PA – The 64th Brandywine Baden-Powell Service Association (BPSA) will hold a public Field Day on Sunday, May 20, at Anson B. Nixon Park in Kennett Square. Field Day will begin at 1:00pm and feature outdoor scouting games for interested youth. Scout leaders will be available to discuss BPSA programs with parents. The 64th Brandywine serves south Chester County, including Octorara, Unionville-Chadds Ford, Avon Grove, and Oxford Area school districts. In the BPSA, there are four program sections: Youth ages 5-7 years are Otters, ages 8-10 years are Timberwolves, Pathfinders are 11-17 years old, and adults can join as Rovers. The 64th Brandywine is currently recruiting girls and boys ages 11-17 for the new Pathfinder section. Adults interested in becoming scout leaders are also invited to attend. During the year, scouts of the 64th Brandywine will participate in outdoor activities like hiking, fishing and camping, as well as service projects in communities nearby. Regular meetings are held in West Grove and Kennett Square. 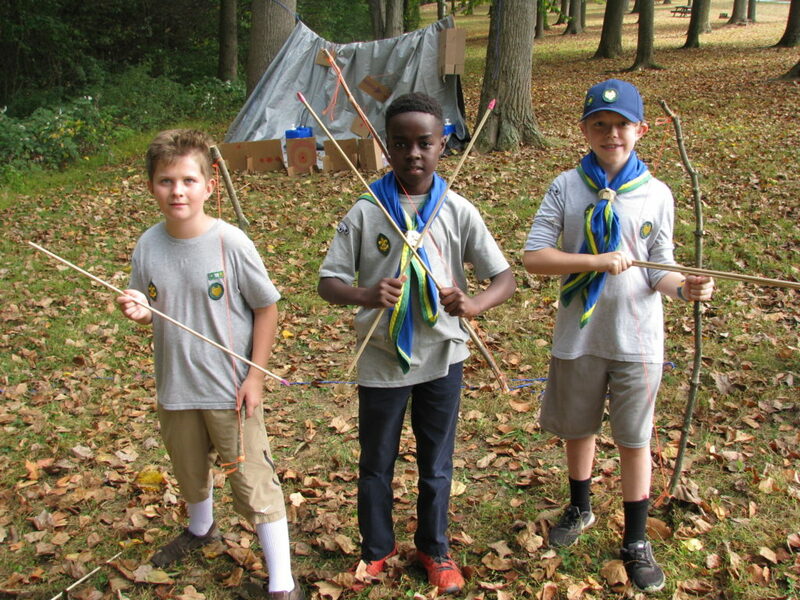 CAPTION: Timberwolves Eoin Mitchell, Camayo Ochola, and Dylan Ball made bow and arrows at a campout last spring.